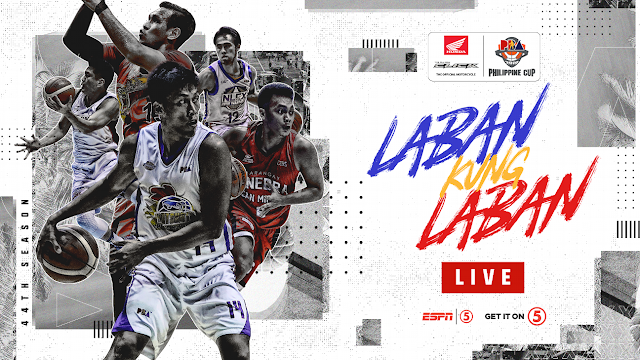 Watch the PBA Philippine Cup Elimination round between the NLEX Road Warriors and the Meralco Bolts today, February 2, 2019 at the Ynares Center-Antipolo. Tip off at 4:30 PM. The NLEX Road Warriors coming to this game with a record of 1W-3L, they're at the 8th spot and they won their last game against the Columbian Dyip 107-97. On the other hand, the Meralco Bolts entering this game with a record of 2W-2L, they're at the 4th spot in the standings and they won their last game against the TNT Katropa 88-77 last Jan. 30th. NLEX 87 - Quiñahan 16, Galanza 14, Erram 12, Alas 12, Rios 9, Magat 8, Porter 6, Fonacier 4, Ighalo 2, Paniamogan 2, Tallo 2, Soyud 0. Meralco 83 - Dillinger 16, Newsome 15, Hugnatan 14, De Ocampo 8, Caram 8, Amer 7, Hodge 6, Canaleta 3, Faundo 2, Salva 2, Jackson 2, Pinto 0, Tolomia 0. Quarters: 21-22, 34-37, 61-64, 87-83.